"Welcome to the Feng Ding Kingdom :-)"
Boasting a crown-shaped carbon structure, professor Feng Ding showed a sweet, naive smile like a young boy. 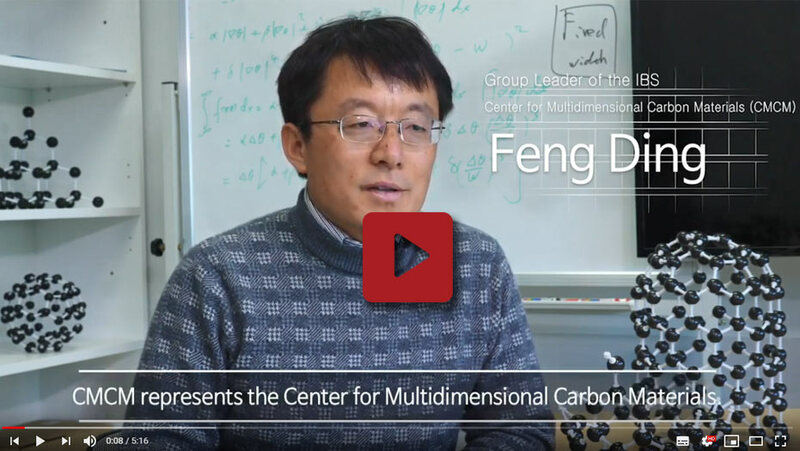 Professor Feng Ding has built up an impressive track record in the field of carbon theory and computer simulations. His name has been frequently listed in a number of carbon research papers. 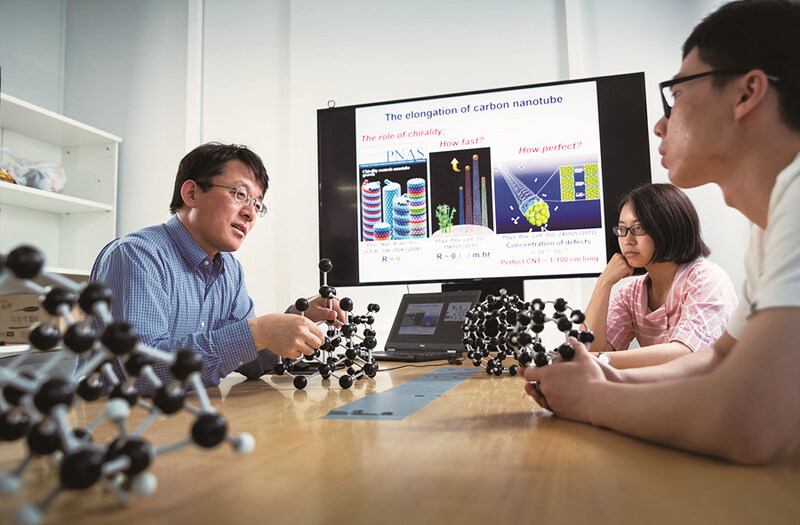 Over the past two decades studying carbon, professor Feng Ding has established himself as a "celebrity" in the field of carbon research. "We always go step by step studying on carbon. Once one problem is solved, another issue soon follows. This is a life-long research that never ends." The advancement of computation allows us to understand the properties of materials at the atomic level. However, there is still a long way to go in the investigation into carbon. 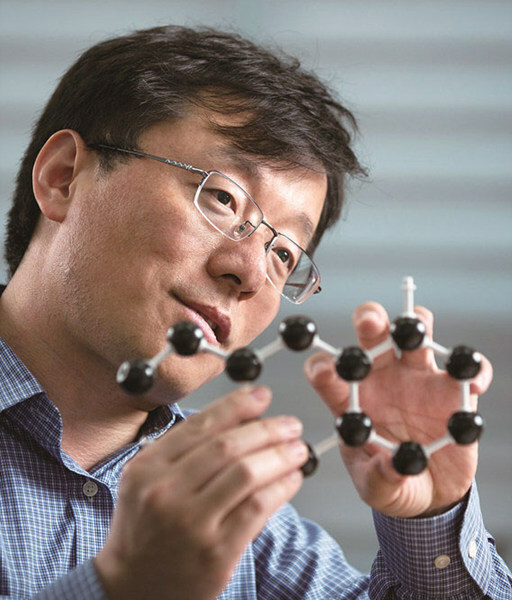 Over the two decades, professor Feng Ding has been exploring the properties of carbon trying to find ways to synthesize carbon-based new materials that can benefit us. Carbon features unique properties, such as lightweight, strength and excellent electric conductivity. Though both diamonds and graphites are known to be composed of carbons, it remains unknown on how to transform a graphite into a diamond. Theoretical scientists now try to find a "recipe", a theoretical explanation to synthesize a material that can exhibits carbons’ innate useful properties. Professor Ding already hit the big time with his recent development, ‘flexible diamond". The research team has revealed that such delicate diamonds can be bent and stretched elastically when made into ultrafine needles. Featured in the journal Science in April 2014, the team demonstrated that their nanoscale diamond needles could flex and stretch by as much as nine percent without breaking, then return to their original shape. 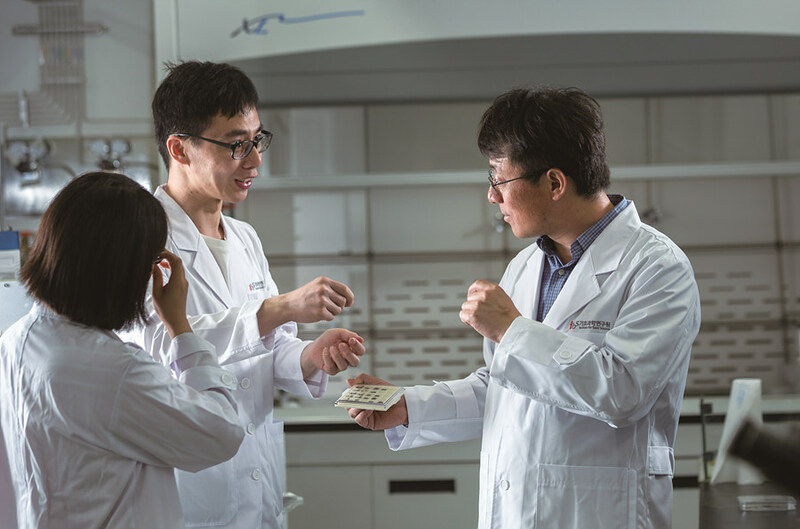 In contrast to the conventional notion of being seen as a back-up for experimental research, professor Ding’s theoretical research group is indeed leading the way in the field. Theoretical studies enable experimental researchers to see a big picture that might be overlooked in the laboratory. Asked about what is next, Feng Ding says, "We will keep working on carbon materials. We have a lot of theoretical studies that try to understand the growth mechanism for carbon nanotubes, graphene and recently fullerenes and diamonds. Especially if we have good results from theses attempts, we will probably be able to control the synthesis and to produce them in large scale. We may be able to create some new carbon materials in the future. We try to make all carbon materials like diamonds, fullerenes and graphenes to be cheaper and of higher quality. This may affect a lot the industry and even out life. The life of everyone."